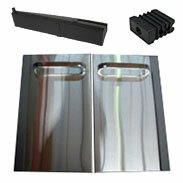 Grill Spot offers the largest selection of Barbecue Grill door handles and door end caps in Canada. If you can't find a part or accessory, just contact our friendly customer care team. We're here to help!